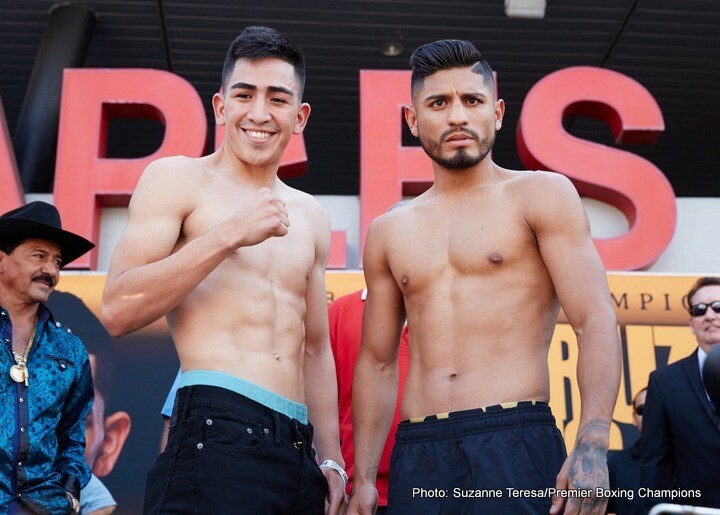 Saturday Night, live on ESPN (10 PM EST) from the Staples Center in Los Angeles California, Unbeaten two-division titilist Leo Santa Cruz (30-0-1 17 KO) of Rosemead California, takes on former 3-division titilist Abner Mares (29-1-1 15 KO) of Montebello California. 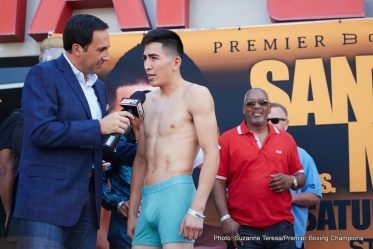 The main event of this Saturday night’s PBC card on ESPN will be a non-title clash, contested at the Featherweight limit of 126 lbs. 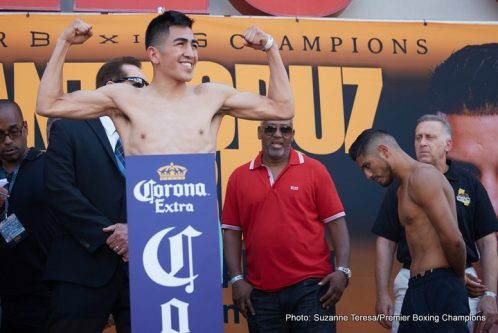 Santa Cruz 27, comes into this potential “Fight of The Year” candidate as the slight betting favorite at -225. 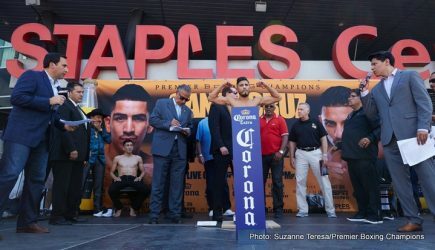 Mares 29, is pegged by oddsmakers as the slight underdog at +175. 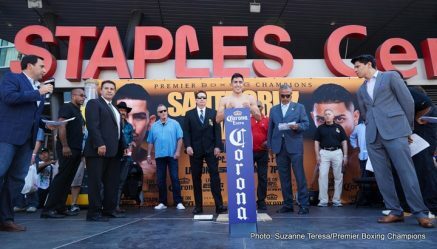 Here is a closer look at the two pugilistic principles set to square off come Saturday night. 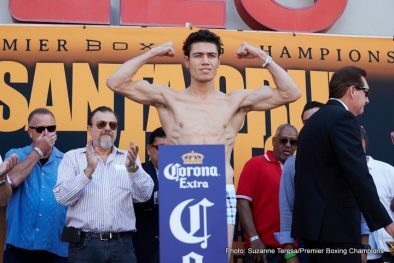 -Christian Mijares: Win, 12 Rd UD. 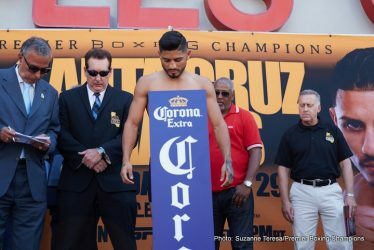 Prediction: Santa Cruz comes into this bout as the slight betting favorite as an undefeated champion. 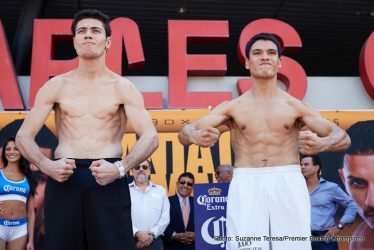 However, it is Mares who holds the vast edge in competition faced and defeated. 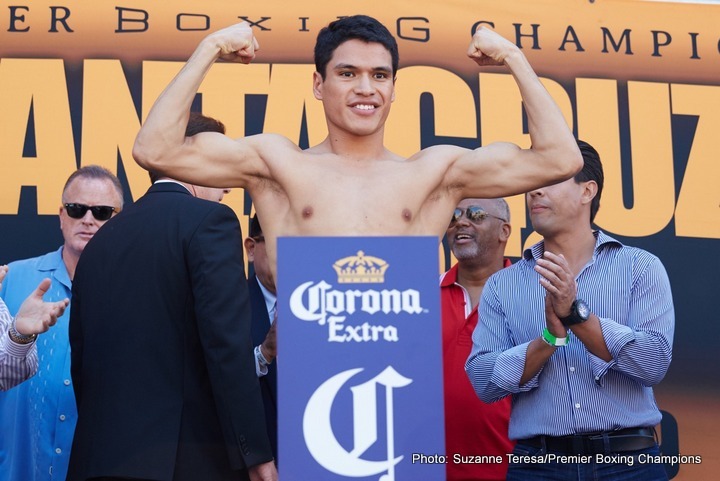 Santa Cruz will enjoy a sizeable height and reach advantage, though he likes to come forward and trade in the pocket, so some of his height and reach advantage against Mares should be negated. 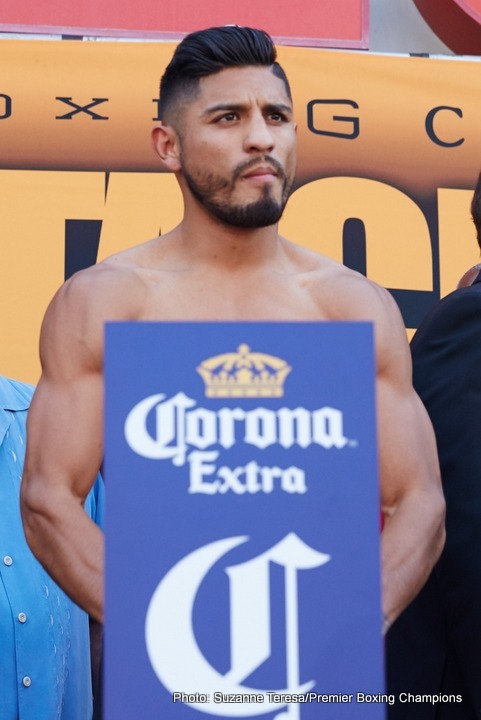 Santa Cruz may be the busier fighter of the two with the sturdier chin, but Mares is no one trick pony and can attack from all angles, with a bit if Kayo pop on his shots as well. 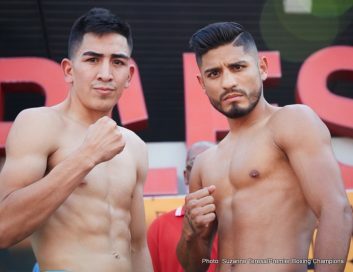 Though Santa Cruz is younger, has superior heigth and reach and seemingly the better chin, this fight is a very difficult one to pick a definitive winner in given -as stated before- Mares’ vast quality of competition faced compared to the relatively untested Santa Cruz. 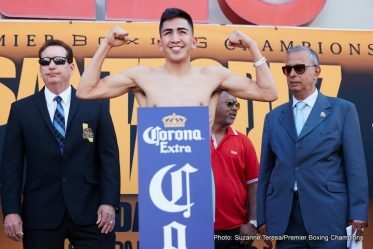 I’ll go with my gut and pick Leo Santa Cruz to eke out a hard fought, 12 Rd Split decision victory in a thrilling war of attrition, full of ebb-and flow, back and forth action. 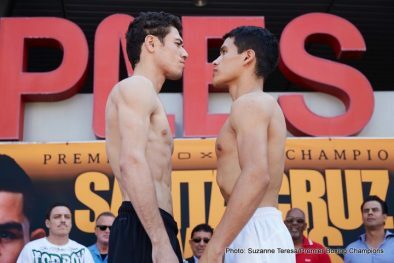 This well-matched 126 lb war truly could go on to become fight of the year. 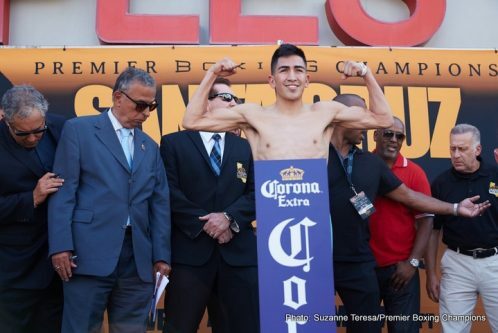 Winner: Leo Santa Cruz via 12 rd, split decision.